Located on the banks of the Hooghly River is the artistic and cultural hub of India, Kolkata. Formerly known as Calcutta, Kolkata (as it is now called) is the capital city of West Bengal. The vibrant capital is the epitome of rich historical heritage and grandiose architecture meeting together. West Bengal's "City of Joy" has been through many changes since it first started out as a humble village on the banks of the Hooghly River. During the British Raj in India, Calcutta was the capital city. There was a major intellectual and cultural boom in the city with the revival of Bengali art and literature and a flourish of Victorian architecture - which can still be explored today. There are many things to do at Kolkata. 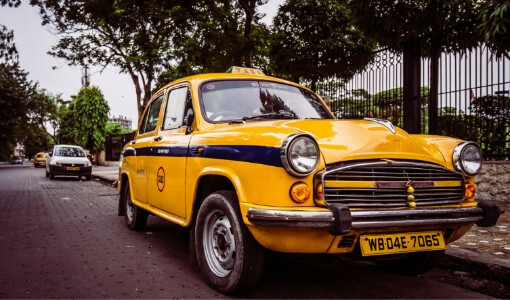 From the plethora of historic buildings, ornate monuments, bridges, temples, mosques and churches to the science parks and gardens, there will never be a dull moment at Kolkata. 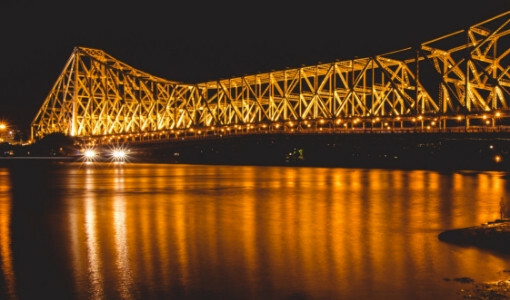 Kolkata’s Howrah Bridge (renamed Rabindra Setu) is truly a landmark identity of the city. With a length of over 700 meters, this bridge is one of the longest cantilever bridges in the world and is believed to have been built without any nuts and bolts! The bridge is a gateway to northeast India and connects the cities of Kolkata and Howrah. One of the best ways to view the bridge is to take to a boat on the Hooghly River and view the bridge up close. An architectural temple unlike any other, the Belur Math’s design is a fusion of motifs pertaining to religions like Islam, Buddhism, Christianity and Hinduism. Its founder, Swami Vivekananda designed the temple to celebrate the diversities of the religions in India. The temple serves as the headquarters of the Ramkrishna Math and Mission. At the Belur Math Campus, you can enjoy the evening aarti that takes place at 5:30 pm daily. The temple deity of Dakshineswar Kali Temple is Bhavatarini, an aspect of Goddess Kali. Built in 1855 by Rani Rashmoni, the temple is located on the eastern bank of the Hooghly River. According to legend, as Rashmoni was getting ready to go on a pilgrimage, Goddess Kali appeared in a dream and requested that a statue be built in her honour where the temple stands today. The three-storeyed temple took 8 years to complete and has a classic Bengali architecture. Auspicious rituals and ceremonies are celebrated at the temple, along with Mangal aarti, Bhog aarti and Sandhya aarti. Best visited in the early mornings, Maidan is where you can experience the life of Kolkata’s denizens. The vast open field is a playground for many, especially those who enjoy cricket and football. It is believed the Maidan is one of the world’s oldest cricket fields. Stretching over 3 kilometres in length about 1 kilometre wide, the Maidan is Kolkata’s largest park. Taking a leisurely stroll from Maidan takes brings you to Victoria Memorial. 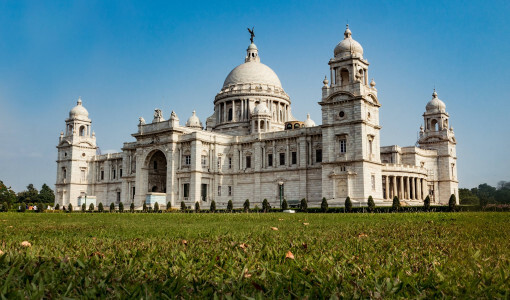 The Victoria Memorial in Kolkata is truly an iconic monument for the city. This large marble building was built between 1906 till 1921 in memory of Queen Victoria. The building was commissioned by Lord Curzon, who was a viceroy to India. The memorial is one of the top tourist destinations of Kolkata and has been transformed into a museum. On display when you enter Victoria Memorial is an array of Victoria Memorabilia and even collections of paintings, coins, sculptures and maps. Victoria Memorial Gallery is open from 10 am to 6 pm except on Mondays and national holidays in India. As the largest cathedral in Kolkata, St. Paul's Cathedral is visited by thousands daily. Its Gothic Revival styled architecture has survived two earthquakes and still has its amazing stained glass windows on display. Along with religious significance, people visit this historical monument to admire the grandiose construction that has been standing tall since 1839. Kolkata’s cuisine consists of subtle yet spicy flavours and an amazing c hoice of confectionaries. From its Kathi Rolls, Phuckhas to the Lassis and Roshagullas, Kolkata’s cuisine is sure to excite your taste buds. You have not tasted Roshagullas until you have tried Roshagullas at Kolkata. 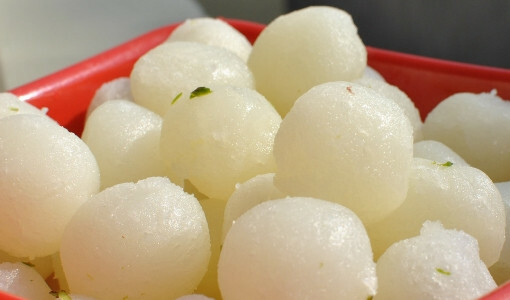 These small spongy spheres drenched in sugar syrup is a burst of sweetness. Aside from Roshagullas, other local sweet favourites to try are the Mishti Doi (sweet curd) and Sandesh (made with sugar, milk and paneer). When walking through the streets of Kolkata, you can try its street food. Phuchka, which are small puris stuffed with spicy potato mash and dipped in lemon water. Another popular street food is the Jhalmuri; spicy puffed rice mixed with potatoes, peas, etc. Some speciality cuisine you have to try is the Kolkata Biryani, which is made using fragrant Basmati rice, aromatic spices, masalas and tender meat. Another speciality to try is the Hilsa Fish Curry, made with a variety of spices and Bengali mustard. One of the best places to shop at Kolkata is in New Market and Chowringhee Road. Dating back all the way to 1874, New Market, also known as Hogg’s Market is the oldest market. With its historical past, the market has grown to accommodate over 2000 stalls and 25 entrances. At Hogg Market, you can find beautiful accessories like bags and jewelries. At Kolkata, you can buy unique textiles like the Bengali Saree. The best place for this is at Gariahat Road where you can find a mix of traditional and contemporary designs. For a unique memorabilia, go to Swabhumi where there are local vendors selling handicrafts and jewelry. Located in Southeast Bengal is Gangasagar, also known as Sagar Island or simply Sagar. The distance from Kolkata to Gangasagar is about 106 kilometres. Gangasagar is a popular destination for pilgrims and tourists because of the holy Ganges River and the sandy beaches. During Makar Sankranti, a Gangasagar Mela is held. Pilgrims come from all over India to take a dip in the confluence of the Ganges River and visit the Kapil Muni Temple. For the wildlife and nature lover, Sundarbans National Park is the place to be. The distance from Kolkata to Sundarbans National Park is about 97 kilometres. Owing to its vast stretches of mangrove forests and a wide range of flora and fauna, the national park is a UNESCO World Heritage Site. Some of the fauna you can see at the park are Royal Bengal Tiger, Saltwater Crocodile, some bird species, etc. 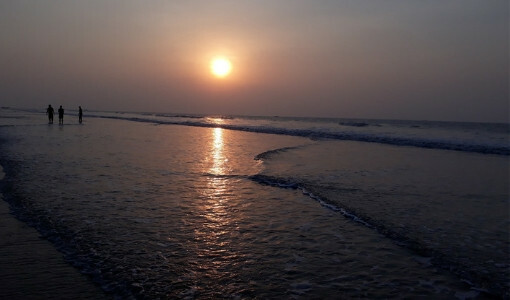 Located near the border of West Bengal and Odisha is the beach town of Digha. The distance from Kolkata to Digha is about 183 kilometres. Besides its fantastic beaches like Shankarpur Beach and Talasari Beach, people also visit Digha to visit the Shiva Temple at Chandaneswar. Since it is near the beach, you also get to eat fresh seafood at Digha. As the headquarters of the Puri District in Odisha of eastern India, Jagannath Puri, also known as Puri is a famous pilgrimage destination and a Char Dham destination for Hindus. The name Jagannath Puri is roughly translated as the abode of Lord Jagannath (Lord of the universe). The distance from Kolkata to Puri, Odisha is less than 500 kilometres. Besides Lord Jagannath Temple, there are other religious sites you can visit like Gundicha Temple and Ramachandi Temple. Walk through the maze of alleys of Kumartuli to see artis ans mould Hindu deities. These artisans come from a generation of sculptors who have honed their skills over the years. There are over 500 workshops that sculpt these idols and they are most busy during Durga Puja. The main location of the Kumartuli is at Banamali Sarkar Street. Along the Hooghly River is the Prinsep Ghat. The ghat is a popular spot especially for boating on the river and taking a stroll along the banks of the river. You can even take a “cruise” on the river on traditional wooden boats. But it is in the evening when the ghat comes to life. Since the recent renovation of Prinsep Ghat, there are parks, benches, illuminated gardens and fountains. Around Maidan, you can take a ride on a tram around the city for a truly unique experience. Kolkata’s tram adds an old charm to the bustling city. Enjoy the sights and sounds of the city, as the tram moves at a slow pace around the city. Take a sneak peek at the life of Tagore while you look through the many journals, paintings, family photos, furniture and sculptures. Located near Girish Park is the home of Nobel Laureate, Rabindranath Tagore. His ancestral home, also known as "Jorasanko Thakur Bari" is now a museum. A haven for book lovers is Kolkata's college street. It is aptly named as you can find many academic institutions here like Calcutta Medical College, Sanskrit College, University of Calcutta, etc. Walking along college street, you can see piles of books stacked, and sometimes spilling over from the bookshops. Nearby College Street is the Coffee House where people can enjoy coffee while taking in the rich history. It is at this coffee house where notable people have written novels and penned poems and lyrics. The people of Kolkata are a varied mix of ethnic groups like Tamils, Biharis, Marwaris, Nepalis, Anglo-Indians, Chinese, etc. They are very friendly and hospitable. People in Kolkata speak Bengali, Hindi and English, with Bengali and Hindi being the dominant languages spoken. There are many festivals celebrated in Kolkata and West Bengal. Some of them are Jaidev Mela, Ganga Sagar Mela, Christmas and even Chinese New Year. 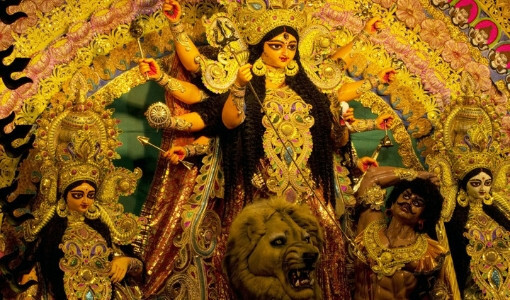 As Kolkata’s biggest festival, Durga Puja is celebrated with pomp and fervour. The festival literally brings Kolkata to standstill for five days between early September and late October. Decorative and elaborate pandals (makeshift shrines) are made with images and idols of Goddess Durga. Later on, the pandals are immersed in the holy Hooghly River. While the traditional clothes for men are dhotis and kurtas, they are seen wearing cotton shirts and pants. Women still wear traditional sarees and salwar kameez, and some have opted for jeans and skirts. 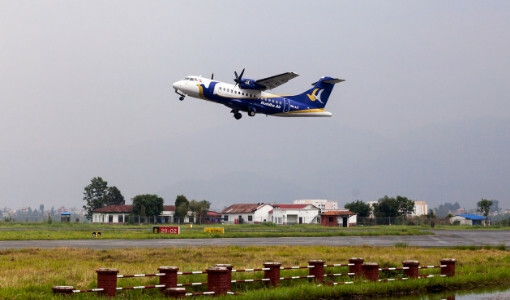 From 27 May 2019, Buddha Air will operate three flights from Kathmandu to Kolkata every Monday, Wednesday and Friday. The duration of the flight is about 1 hour 30 minutes. The Kathmandu to Kolkata flight takes off in the morning from the international terminal at Tribhuvan International Airport, Kathmandu. Kolkata Airport with IATA code CCU is known as Netaji Subhash Chandra Bose International Airport. The airport is located less than 20 km away from the city centre and serves the Kolkata metropolitan area. The Kolkata to Kathmandu flight takes off from this airport.